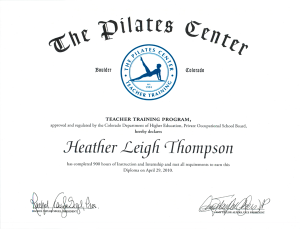 Although Heather loves teaching Pilates in all formats, her Pilates skills and depth of knowledge of this art are best exposed in private pilates lessons where she helps students achieve maximum personal growth. 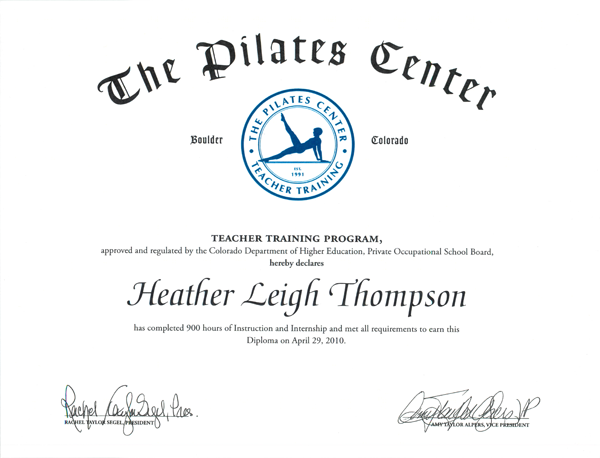 This passion is the reason Heather now offers Pilates in Highlands Ranch. 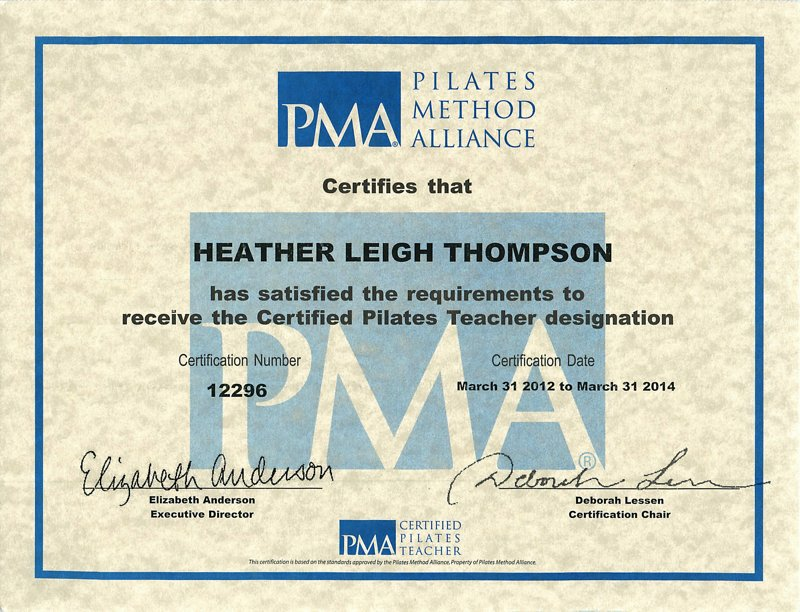 [sws_grey_box box_size=”325″][lightbox] [/lightbox][/sws_grey_box]Heather is a PMA®-Certified Pilates Teacher. The Pilates Method Alliance (PMA®), offers the only national certification for Pilates Instructors. Heather is American Heart Association (AHA), CPR Certified for Adults, Children and Infants with the ability to to perform essential CPR skills and to use an AED. She also has a current professional association membership with the Pilates Method Alliance.